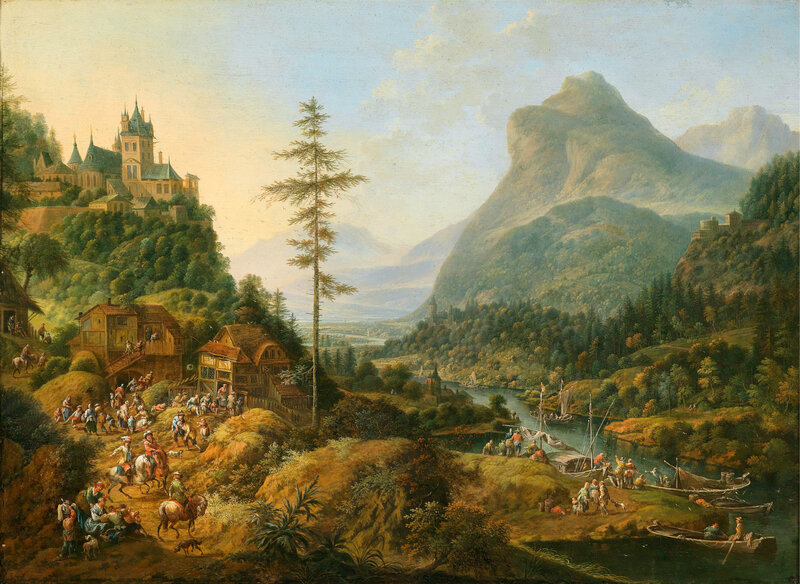 Jan Griffier the Elder – private collection. Title: Weite idealisierte Flusslandschaft mit einer Jagdgesellschaft. Date: c. 1670s-1710s. Materials: oil on panel. Dimensions: 54 x 73.5 cm. Sold by Dorotheum in Vienna, on April 9, 2014. Source: http://s004.radikal.ru/i205/1404/ea/1479989d582d.jpg. I have changed the light and contrast of the original photo.